Woe is me, how I long to go to the gym as and when I please, but for now I'll make do with a mix of clothing and embracing the off-duty athleisure way, somewhat soothing that bruised craving to work out. 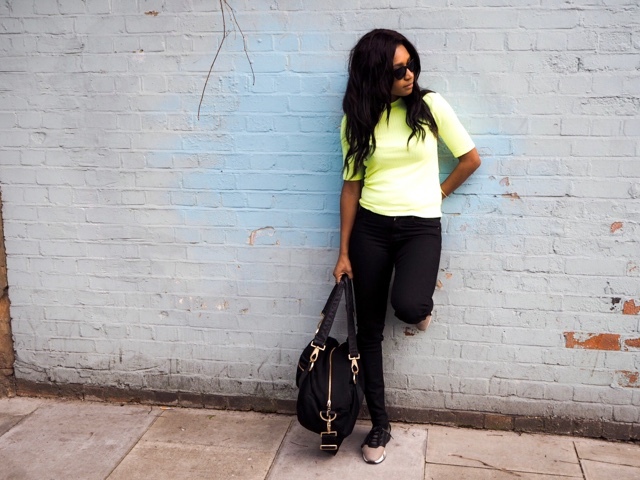 With a busy lifestyle finding the perfect balance of fashion and comfort via sportswear is important to me, being it pounding the pavements to do the preschool run or blitzing my way to the tube and meetings and general day life, I want to look just as good as I feel, well minus a frazzled Monday. To find something that fits into my wardrobe and Mumma life used to be hard, but now I'm embracing a more off-duty style. 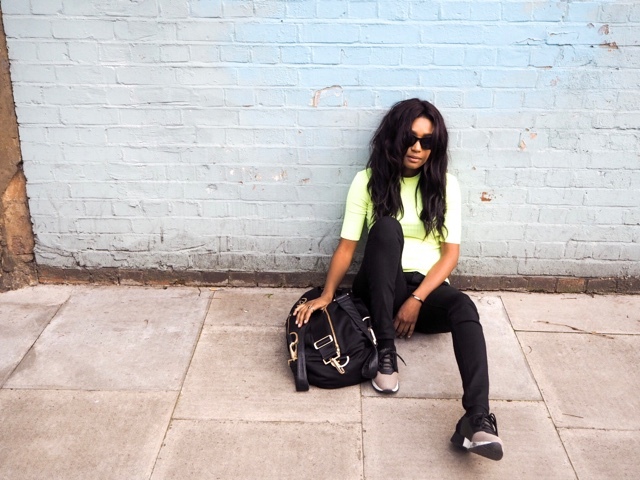 Gone are the high heels I used to wear daily, now you will find me in a comfy pair of trainers, like this beaut of a Balenciaga dupes from Office. Banished to the back of the wardrobe my pre Mummahood suits and extra tight dresses, with the deep-v to show off the girls, well have that one wow dress ladies, or two! 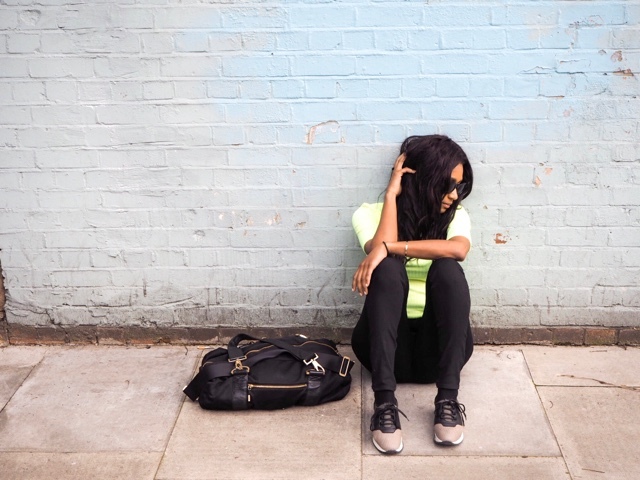 Now women all over the world are now embracing athleisure, it is not just a trend athleisure, it has become a way of life, and we are incorporating it into our daily existence. The one thing you must master, in great athleisure is a great pair of footwear, leggings, and a comfy top. Now you don't necessarily have to wear them all at once, but at least 2, but who am I to say what's right or wrong. Most morning's heading out, I slip into my trainers, leggings, hoodie and denim jacket! Rules are meant to be broken anyway right?! If I'm not in leggings, then you will always find me in a pair of jeans, these HM skinnies are cheap as chips and have a great stretch, so perfect whilst holding my kid in one arm, bag strapped over on the other and great for bending over in a not so graceful yoga style pose, to scoop up Dede who had just been plunged to the floor because she was being rude and not listening to Leanora! 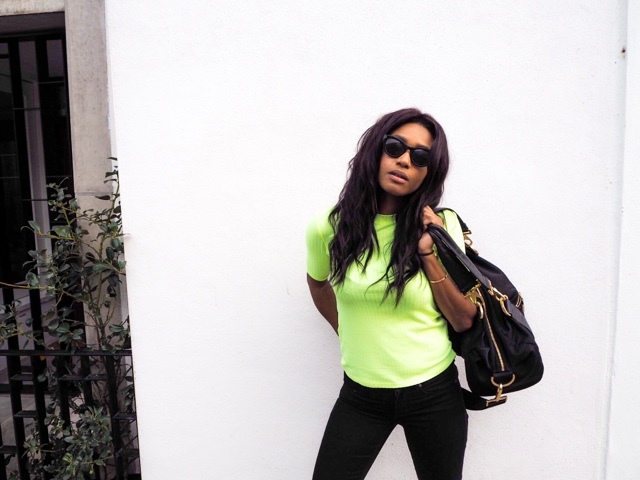 With Spring on the approach I'm brightening up my life in a neon t-shirt (similar), which is great on darker skin and those bronzed beauties, well unless you are heading into an all day/night festival then I say rock it baby! 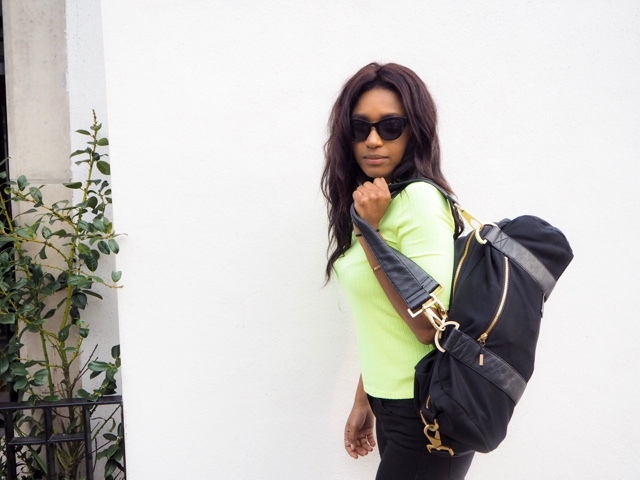 Have you embraced your, off duty Athleisure goddess? 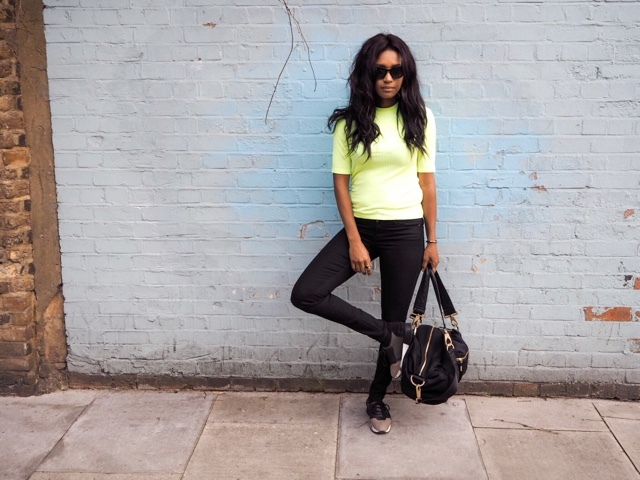 What are your favourite brands of athleisure?